The United States is famed for its bustling cities like New York and San Francisco, which see thousands of visitors every year. Yet, there is much more to it than a vibrant arts and culture scene. In fact, you can find a sprawling natural landscape that is encapsulated in no less than 59 national parks, which ranges from smooth, sandy beaches to sparkling glacial mountains. If it this landscape which makes it an ideal location for adventurers and families alike to come and explore, but with a lot of land to cover, you may be wondering where it is best to start. If you follow some trusted tips, you can find your place in the natural landscape in no time. The West Coast is a dramatic coastline which spans from California in the south, to Washington state in the north. Where the southern region is characterized by sweeping, sandy beaches and tropical climates, as you travel north you can see dense forests populating the shoreline. The best way to take in this coast is to start on a road trip and travel either north or south. Highlights include the ancient redwood trees in California, and the Oregon Dunes National Recreation Area, where hiking trails and scenic vistas are plenty. The Grand Canyon is widely considered to be one of the world’s greatest natural wonders, with dusty, red cliffs and iconic views. However, you can find much more to do than take in the scenery. 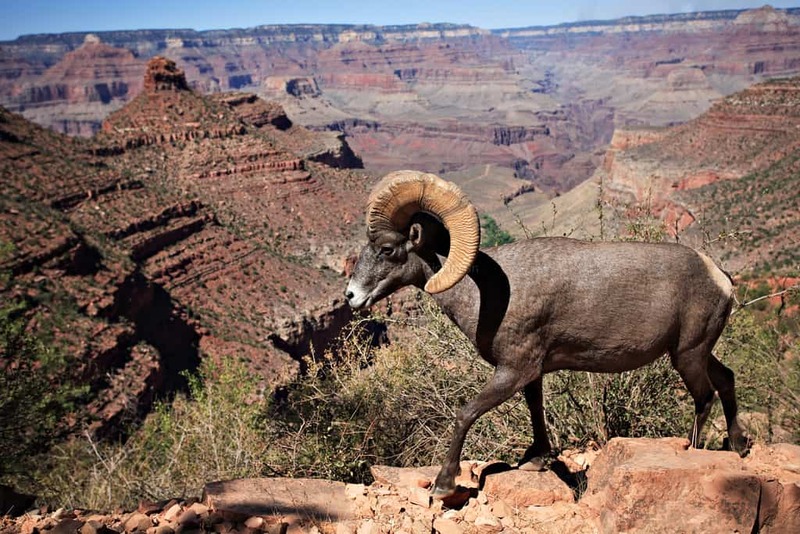 Hiking trails run along the canyon floor, where you can catch views unlike those at the top of the Southern Rim, but it is also recommended that you visit the less popular Northern Rim at sunset for unbeatable panoramas. On some specialized trips, you can go rafting along the Colorado River, which runs through the most scenic parts of the canyon. Famed for burnt orange leaves in the Autumn months, New Hampshire has always been at the top of any traveler’s bucket list. The best way to take in such color is by going on a hiking trip through some of the landscape, the best of which can be found in the White Mountains when the leaves turn from their usual green to warmer hues when the weather starts to get colder. The best time to visit is between late September and November, where morning hikes shroud the mountains and trees in an ethereal mist that is difficult to forget. There are many mountain ranges in the United States, where you can find an abundance of hiking trails to follow. 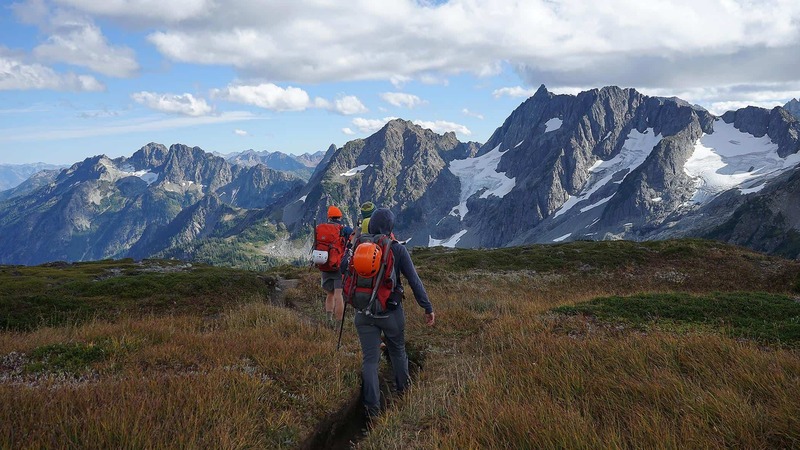 However, one of the most visually stunning and physically challenging is the North Cascades in Washington state. Their northernmost point crosses the border into Canada, but you will find that some of the best peaks are easily accessible. It is important to remember that you need to take warm clothing with you, as temperatures can drop well below zero. In the North Cascades, you can find bright blue lakes, as well as catch a glimpse of the grizzly bears that populate the forests. Some people prefer warmer climates when they are exploring mountain ranges, which is why the Ozark Mountains are a popular choice for tourists every year. What truly sets these mountains apart is the range of activities they have on offer in the heart of the mountains, where people often go horseback riding, enjoy water-based activities, and enjoy wine tasting. These mountains are ideal for those wanting to explore hiking trails, as well as those hoping to come on a family retreat in nature. To get the best idea of what you can do there, look at Branson MO things to do. Texas is known for many things, such as a rich history and the unique Texas Hill Country. What many people don’t know about it is that it has a hidden gem in the form of Padre Island, which lies just off the coast. This is a hub for white sands and a varied eco-system, where you can find turtles and other wildlife nestled in the sand. It is ideal for those who want a unique taste of the American landscape, where they want to relax on soft shores after a long day of exploring the beaches. Hawaii lies far off the coast of the mainland USA, in the middle of the expansive Pacific Ocean. Despite this, it is not one to be missed out on, as it boasts one of the most diverse natural landscapes in the world, where volcanoes and glittering marine life are popular reasons for visitors to explore. When you visit, you should make the most of your time over there by having an extended trip, so that you can take your time roaming over the volcanic land and seeing active volcanoes in action. There are many parts of the landscape of the United States that people don’t expect to find there, and rainforests are one of these. 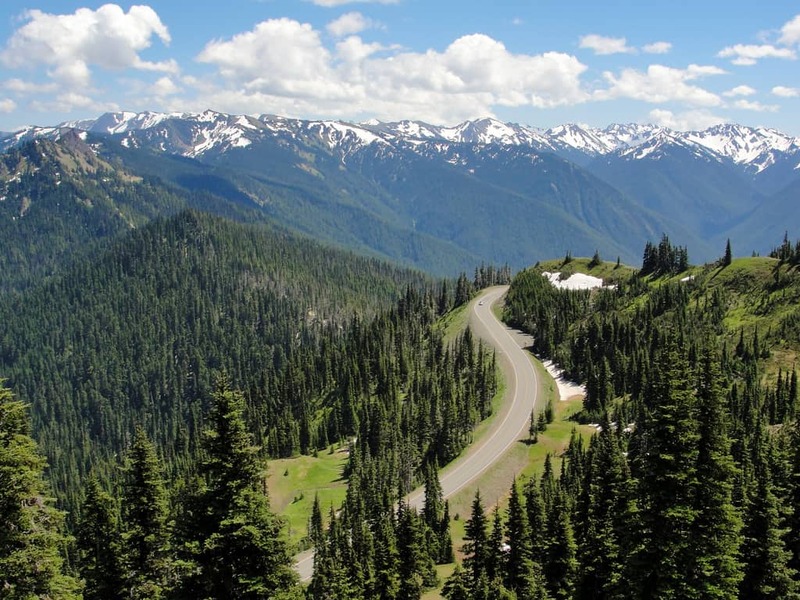 Yet, lying in the northwest corner of Washington state is Olympic National Park, which is not far from the famous capital of Seattle. Though mountain views attract people to the park, one of its defining features is the Hoh Rainforest, which offers rugged coastal hikes and a chance to see a varied collection of native wildlife. It can be visited at any time of the year, but you will find the best time to go is in the peak of summer, where the rainforest takes on a life of its own and camping is more comfortable. The Midwest is known for its wide-open plains and friendly locals, but the Great Lakes are also one of its most iconic natural wonders. 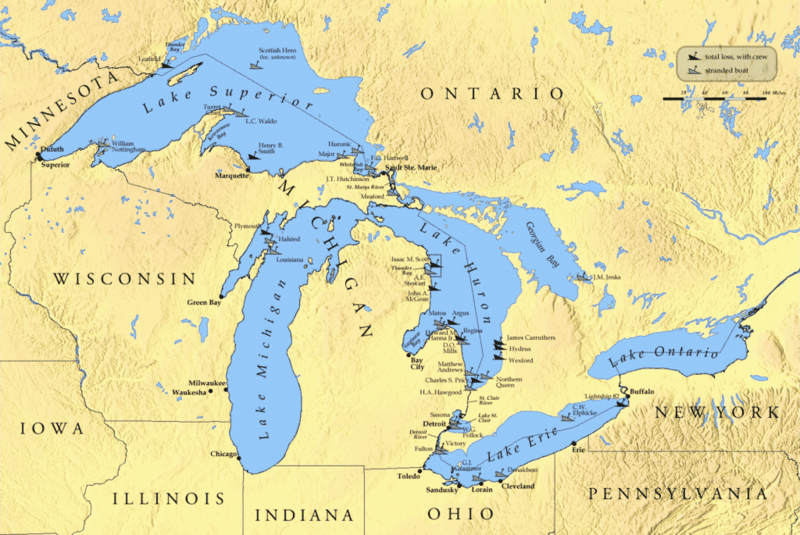 These lakes include Lake Erie, which is a hub for fishing all year round, as well as Lake Ontario, which crosses into Canada and boasts the famous Niagara Falls. You can go fishing at any time of the year, but to stay safe and warm, it is recommended that you stay a short while off the shoreline in the early Autumn, where salmon are rife in the waters.